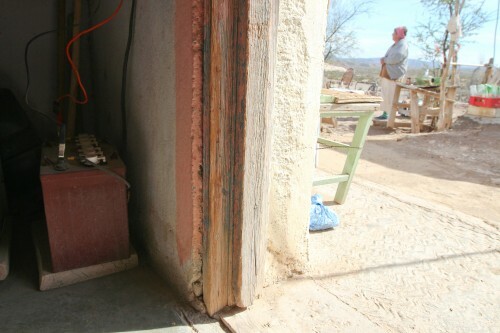 BOQUILLAS, Mexico – The sealing of the border after the terrorist attacks of September 11, 2001 crushed connected rural economies in both Mexico and the United States. Today in one swath of northern Mexico, a formal border crossing with Texas is the lynchpin of a plan to rebuild the post 9-11 economy in both countries on one rural section of the Rio Grande. But economic rebirth in one small but strategically located town is stunted because there’s no electricity in the area. 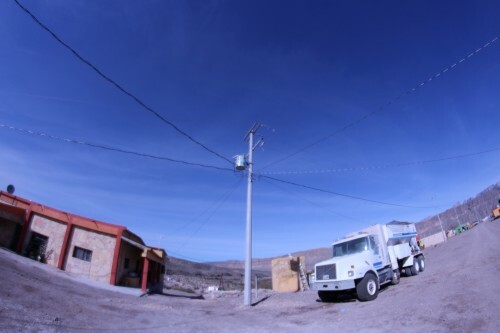 Residents of Boquillas, Coahuila told visitors that they will pay for their power but not to offset the approximately 1.5 million U.S. dollar cost of installation.That’s changing with the arrival of solar power funded by Mexico’s federal government. Instead, the money will be placed in an account that will be drawn on to replace batteries that store power collected on the solar farm. Following the 2001 terrorist attacks, you could still cross over to Mexico on this stretch of the Rio Grande. The issue was returning. You needed a passport and a place to check in with U.S. customs and immigration agents. Boquillas is a time warp, a funnel into old Mexico, devoid of crime and gaudy visual pollution and a longtime magnet for visitors from around the world. It is the subject of ballads and a haven for photographers drawn by layers of shifting hues at dawn and sunset, all flanked by the Sierra del Carmen mountain range. After 9-11, however, you couldn’t return to the United States, not here, at least not legally. Although people routinely traveled back and forth, no formal border crossing, called a port of entry existed here. But an experiment in post 9-11 border policy began here in April 2013. Pedestrian-only border stations are now staffed on each side of the Rio Grande by U.S. and Mexican immigration officials. But how you get back and forth has not changed. Visitors still must row or walk across the river. The formal crossings were opened to attract visitors to a region where tourism is the principal economic driver and to help the U.S. National Park Service work with Mexican counterparts to protect a shared border wilderness. “Things are slow but a few dozen people are coming every day,” said boatman Carmelo Sandoval in Spanish. He said up to 20 visitors make the crossing every day, several dozen on holiday weekends. Before 2001, up to 20000 visitors trekked to Boquillas every year, often as a part of a hiking trip to adjacent Big Bend National Park. Those numbers won’t likely be replicated even with solar’s introduction and its implication for a reliable supply of electricity. But Boquillas still has tremendous tourism potential. It’s the gateway to an epic slice of desert color and space draped by an ocean of sky. But there’s no power here, meaning there’s no way to communicate or install heating or air conditioning in this hardscrabble place, something the town’s residents say is crucial to enticing visitors to stay overnight. But soon an array of solar panels covering an area that’s half the size of a football field will store enough power to run the town of 45 families for two days. “I feel really happy that in a certain way we can help these guys because their life is really hard,” said Ivan Antonov Velev, the solar project manager. 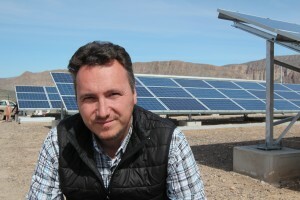 Velev described a glimpse of solar’s potential to transform the local economy.Velev was sent here by the Federal Electricity Commission (CFA) which is promoting solar in rural Mexico. He said one night he harnessed solar power to access the internet via satellite. Even though there’s no cell service here, many people have cell phones that they use on trips to other towns. “Actually our little house we rent here in the village, it was surrounded by people trying to get in contact with internet,” he said. Across town, Edgardo Mesa showed us how he squeezes power from a worn consumer size solar panel that’s wired into an old car battery. It will give him three hours of power on a good day, he says. He uses the energy to power a heater in winter, a stove and a CD player. “Now the town is going to progress a little more. 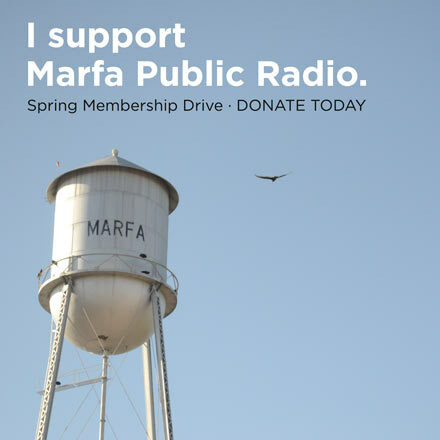 I was away for a year but when I heard about solar power I just came back to live over here because it’s going to be a lot better now,” said Mesa. Boquillas is adjacent to Big Bend National Park on the river. The National Park Service, which operates the park, lobbied for the border crossing. Previously the Park Service actively supported sending in electricity from Texas. That project fell apart in the early 1990s. But the motive in both cases is the same; to ease communication with Mexico counterparts to protect a shared border wilderness. “Now that we have Boquillas Crossing open, I think it’s a good test case to ease some of the post 9-11 tension over border issues,” said Tom Alex, a recently-retired archaeologist with the National Park Service in Big Bend National Park. 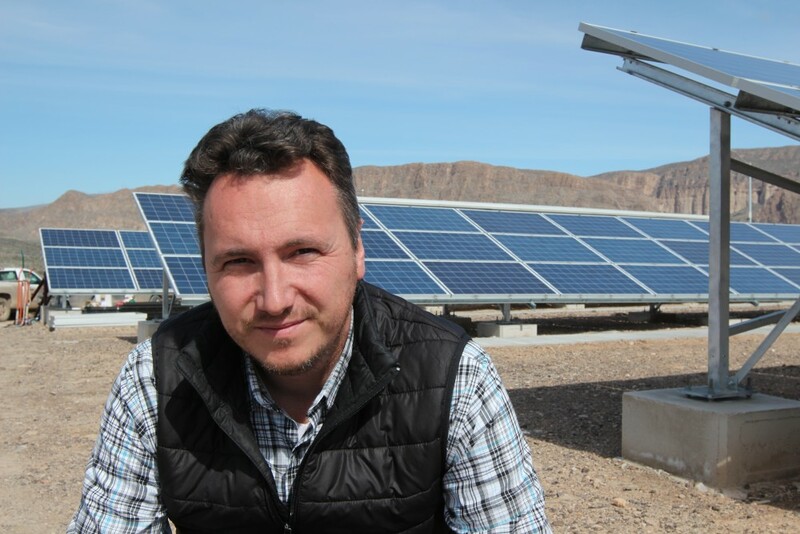 Project manager Velev says he’s seen solar improve other micro-economies in rural Mexico. “You see these little kids running around, eager to learn,” said Velev. Solar power will be shared with neighboring towns once transmission lines are built. But there is no timeline to erect transmission poles and wires to the closest town. Without those lines, the solar power and all it implies for economic growth for this rural slice of the border will be confined to Boquillas. This entry was posted in KRTS News and tagged boquillas, Border, Economics, Fronteras Desk, Rural Economics, Solar Power, Tourism. Bookmark the permalink.